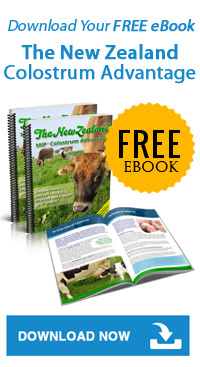 Home → Articles → MIP™ Colostrum – a natural resource for your body’s Glutathione requirements? Free Radicals: What can it do to my Health? Having contained an unpaired electron in an atomic orbital, a free radical is independently existent in human body, and shares similar characteristics with other radicals. These radicals are highly reactive and mostly unstable; however, their capability to overwhelm the body’s coping mechanism against disease is surprising. According to an article, oxidative stress is produced in the presence of a growing number of free radicals combined with major cellular deterioration. Bruce Ames, a famous scientist in anti-oxidative studies, assessed the rate of cellular collision with free radicals by showing how just one cell of the human body hits about 10,000 free radicals per day. A damage or loss in bodily lips, proteins and nucleic acids, according to research, results in too many free radicals with the ability to produce oxidative stress on a daily basis. Oxidative Stress and Ageing Process: Am I at risk? Human body disruptions take place significantly the moment oxidative stress exceeds controllable limits, thereby causing cardiovascular diseases, ulcers, musculoskeletal disorders, cancers, autism, Parkinson’s and Alzheimer’s diseases, arthritis and other long-term health issues. It is also commonly cited as the free radical theory of aging associating free radical evolution with the ageing process in which age is taken as a factor giving birth to more eruptions of free radicals in human bodies. When free radicals cause deterioration to DNA, resulting cellular diseases lead to untimely aging. Research around free radical proliferation suggests dietary measures for re-balancing the anti-oxidants of the body with their presence by taking in antioxidants as part of routine meals. Recommended dietary allowance (RDA) suggests the use of antioxidant vitamins and minerals for controlling the excessive cell-radical collisions with the use of vitamins and beta-carotene that is not a common dietary component for most individuals. Think again if you thought you are still not at risk! What is Glutathione? Do I really need it? Preventing inflammation through protecting polyunsaturated fats. Think about some nutrients that can strengthen the immune system and develop healthy body mechanisms to fight back angry free radicals? Well, recent researches support intake of oysters, nuts, seafood, dairy products, beans, red meat and poultry being zinc-rich sources which helps immune systems and provide anti-disease defence against free radicals. However, often individuals have reported taking too much to boost immunity overnight, which often results in otherwise. While these nutrients and minerals scientifically exposes human bodies to major defence mechanism against diseases and bacteria, taking too much of these elements can result in exhaustion of enzymic processes which slows down recovery from disease and affects immunity in an adverse manner. A moderate approach is therefore, recommended by practitioners and medical experts who suggested that minerals, zinc and vitamins are not too helpful in building immunity if taken excessively in high amounts. This means while individuals should keep a track of their intake of defensive antioxidants, excessive of anything should be avoided, as well. Research in antioxidant therapy thrives on the use of glutathione as an antioxidant therapy for reducing the formation of free radicals and oxidizing sensitive molecules in human body. Additionally, glutathione’s ability to react with non-organic and organic body substances also helps in detoxification. 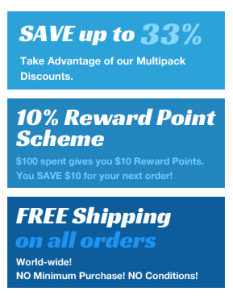 What does MIP Colostrum offer to me? Apart from increasing your health-related knowledge on this sensitive topic of medical interest, MIP Colostrum offers much more than you may have initially imagined. It brings to you, a unique solution to fulfil all your Glutathione needs! MIP™ Colostrum is a proven success for providing beneficial nutrients for optimal health and vitality for long-term bodily sustenance against damaging free radicals. The very first reason why you should choose MIP™ Colostrum is for its contribution to biological stability and bodily health using better and faster coping nutrients in moderate amounts. This does not only provide you with the results in a faster and better manner, it also ensures that your supply of antioxidants does not exceed bodily requirements. Recommended by top athletes, guarantees vitality and bodily strength, fights bacteria, viruses and parasites, helps with better digestion, improves epigastric health and bowel function, provides faster recovery against injury and sport accidents, and builds up stronger tissues. For all this and more, MIP™ Colostrum should be a confident choice for a healthier ‘you’! Bast, A., & Goris, R. J. A. (1989). Oxidative stress. Pharmaceutisch Weekblad, 11(6), 199-206. Di Domenico, F., Barone, E., Perluigi, M., & Butterfield, D. A. (2015). Strategy to reduce free radical species in Alzheimer’s disease: an update of selected antioxidants. Expert review of neurotherapeutics, 15(1), 19-40. Ghezzi, P. (2011). Role of glutathione in immunity and inflammation in the lung. Int J Gen Med, 4, 105-113. Knight, J. A. (2000). Review: Free radicals, antioxidants, and the immune system. Annals of Clinical & Laboratory Science, 30(2), 145-158. Raha, S., & Robinson, B. H. (2000). Mitochondria, oxygen free radicals, disease and ageing. Trends in biochemical sciences, 25(10), 502-508. Santo, A., Zhu, H., & Li, Y. R. (2016). Free Radicals: From Health to Disease.Reactive Oxygen Species, 2(4), 245-263.